THIS SATURDAY see's the first in a series of creative indoor markets within the Brewery Tap! The theme - Food & Art. We'll be accommodating a fine selection of local talent with craft stalls from Bakers, makers, potters, photographers, jewellers, street food vendors, woodworkers, artists and more. Be sure to bring cash for purchases! 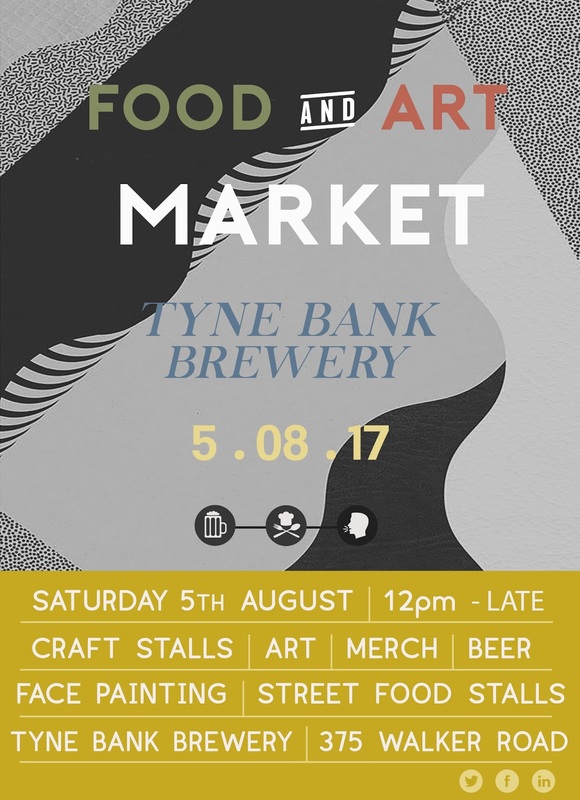 Tyne Bank merch will also be available so grab a growler and get it filled! As always a fine selection of ales will be pouring along with teas, coffees and deluxe hot chocolates for the young un's - there'll also be face painting available to keep the children busy while beer is consumed!